My mother in law worked in the factory amongst fumes of the boiling sugar and she lost all her teeth through sugar decay! I went to Raines Foundation Grammar School, Stepney 1954 - 1958.We used to walk from Arbour Sq.to Limehouse saving the bus fare and calling in on Palm Toffee's distribution place almost opposite Rotherithe Tunnel. If we were lucky we would be given a bar of Palm Toffee. Happy days indeed. When I was a kid I thought you got Palm Toffee as a special treat on Palm Sunday............. so today is the day !! Ahhh. 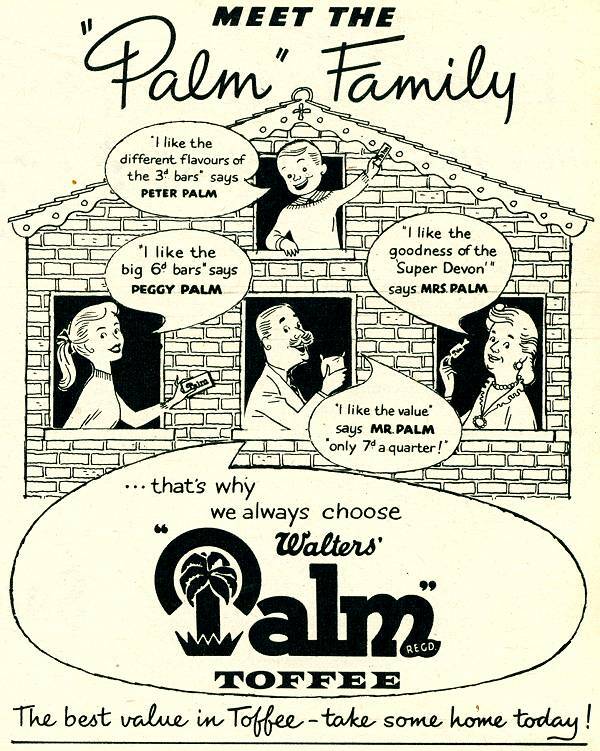 Palm toffee was always my favourite. I am amazed I still have any teeth left.